In January 1998, in the run-up to the twenty-fifth anniversary of Roe v. Wade, then-First Lady Hillary Clinton held a meeting in the Map Room of the White House with leaders of women’s groups ranging from Planned Parenthood to the National Women’s Law Center. The meeting took place in the aftermath of the painful and polarizing debate on late-term abortion—a debate in which conservatives capitalized on a seemingly extreme abortion position in order to bludgeon progressive leaders. In that meeting (I was there, as a staffer for the First Lady), Clinton pushed the groups to develop a proactive agenda around women’s health, one that would shift the debate away from a rarely used procedure and back toward the reproductive health needs of women. And if that debate took place in a way that demonstrated the extremes of the anti-choice position—so be it. Over the course of the discussion, Clinton and the leaders in the room hit on the issue of contraception: specifically, promoting contraceptive coverage in health care plans. Fourteen years later, the strategy formed in the White House in 1998 is being tested on the national level, as we debate the Obama Administration’s contraceptive coverage proposal. But today’s debate differs from the one that took place in the ’90s—when many states passed laws mandating contraception coverage—in one troubling way: the vociferous opposition by religious groups. The past few months have seen the issue of contraception coverage turned into a question of religious liberty. And, initially at least, that rhetorical shift by conservatives made an enormous political difference. Before it was made into a religious issue, contraception was a subject where the majority of Americans were firmly on the side of women’s rights: Most people viewed it as a basic health protection, not a controversial issue. And that’s why it was also successful as a political cudgel, helping isolate extreme anti-choice advocates from the mainstream. Indeed, it was a Republican Senator, Olympia Snowe, who introduced the Equity in Prescription Insurance and Contraceptive Coverage Act (which lacked any sort of “conscience exception”) in 1999, and plenty of Republicans co-sponsored it. That extent of mainstream sympathy for contraception coverage was especially evident on the state level. At the time, state affiliates of women’s organizations started pushing contraceptive coverage in state legislatures—and in many places, they passed. One such organization was NARAL-NY, which advocated for the Women’s Health and Wellness Act in New York in 1999 and 2000. The legislation—like the original Obama policy—only allowed an exemption for houses of worship, not religiously affiliated hospitals or colleges, perhaps because its authors recognized that the vast majority of employees at these institutions are not Catholic. But the Catholic Church did not actively resist, or try to prevent the bill’s passing. At the time, the Church said that, in its affiliated hospitals, it would “continue for the immediate future providing the contraception coverage under formal protest.” This was far from the cries of “religious coercion” that we see today. And, in some states, religious groups were silent altogether. In 1999, New Hampshire passed a law requiring contraceptive coverage in all prescription drug plans. (The law was passed by a Republican legislature and signed by a Democratic governor.) Both lawmakers and religious groups never raised the issue of religious liberty during the legislative debate; in fact, there was not a single discussion on that issue according to the legislative history. How could it be that the Catholic Church did not object, and did not threaten to spend millions of dollars defeating political opponents? 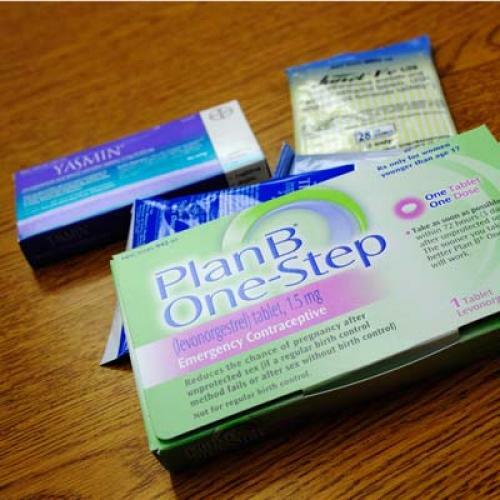 Simply put, contraception coverage was seen as part and parcel of health care access. And, if Obama’s rising approval rating among women is any indication, it still is today. Moreover, after some initial uncertainty surrounding the politics of the contraception measure, it is now clear that a solid majority of Americans (63 percent) support it. Fourteen years ago, leaders of the women’s movement saw contraception as a unifying issue, one that the vast majority of Americans would support. They strategized that those who opposed contraception would be seen as extreme. In the past several weeks, they were proven right.